So more than likely, everyone is abuzz about The Oscars. Then there is likely to be a small group of folks who are abuzz about one of the women, who votes for the Academy, who gave an anonymous interview stating her thoughts about Selma. First, let me say that I’m tired of all of this talk about “snubs” — I thought for every one of [the snubs] there was a justifiable reason. What no one wants to say out loud is that Selma is a well-crafted movie, but there’s no art to it. If the movie had been directed by a 60-year-old white male, I don’t think that people would have been carrying on about it to the level that they were. And as far as the accusations about the Academy being racist? Yes, most members are white males, but they are not the cast of Deliverance — they had to get into the Academy to begin with, so they’re not cretinous, snaggletoothed hillbillies. When a movie about black people is good, members vote for it. But if the movie isn’t that good, am I supposed to vote for it just because it has black people in it? I’ve got to tell you, having the cast show up in T-shirts saying “I can’t breathe”— I thought that stuff was offensive. Did they want to be known for making the best movie of the year or for stirring up sh#t? My response now is the same as it was in both of my previous situations, “Are you serious?” Heavens no, just because a film has Black people in it, it deserves a vote. Could you imagine the horror of films such a Soul Plane or Who’s Your Caddy? winning anything? Perhaps this is the same lady that voted for Chicago over The Pianist in 2002 (That one is for my movie buffs). Maybe she just does not know a good movie when she sees one. Maybe she’s out of touch with current films. Perhaps by her standards the movie was not “artful”; but I find it brave that the cast showed up in T-Shirts saying “I can’t breathe”, I find it amazing, encouraging, supportive, moving, and impactful. It makes me want to get a shirt. It also, if I’m being honest, makes me want to go see Selma. In my defense, I changed jobs, bought a house, moved and a bunch of other stuff going on; so no I haven’t seen it… yet. But thanks to her, I soon will. I find it “offensive” that she would think of their actions as antics. Exactly what was offensive to her, I have to wonder? I try to be understanding of a lot of things, but the first thing that comes to mind for me is that she has some sort of bias that allows her to think this way; perhaps her son or husband was/is in law enforcement? I dunno, but these wonderful people, having the bravery to peacefully protest the death of an innocent man when so many others have avoided it, been on the wrong side of it, or simply didn’t understand it should be celebrated and applauded not scorned. They weren’t stirring up sh#t… They were showing that they were tired of it and took a stand against it. I have to give her the benefit of the doubt and come to the conclusion that; she just does not know how to relate to Black people, nor the issues they face, or is she sensitive to those issues. When the nominations were first announced there was a critic interviewed on NPR when the topic of snubs were first approached. He stated that Selma did something to critics that most films cannot do… it made them feel uncomfortable. He stated that they did not know how to relate to a film that was predominately Black, and there being no one for THEM to identify with they didn’t know how to vote. I now see that as truth… but one would like to hope that they would at least be able to identify with people if not the films they are paid to review. 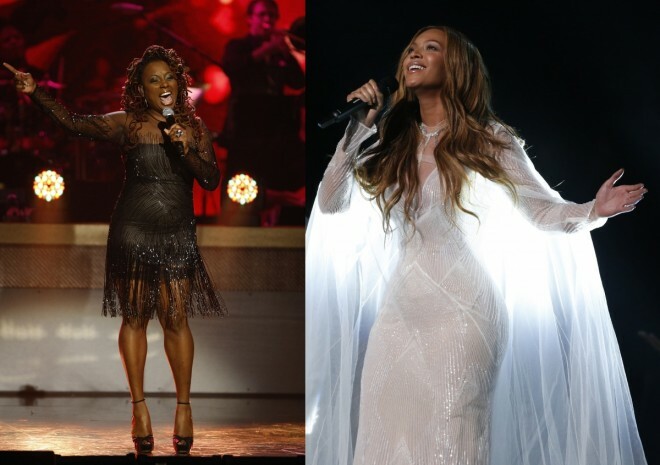 Besides… Everyone knows the real Selma snub happened between Beyonce and Ledisi. Were the actors from the film inappropriate for wearing the shirts? Will we always have to refer to predominately Black films as Black Films? candyzig on SNUB OF A B!#@H!